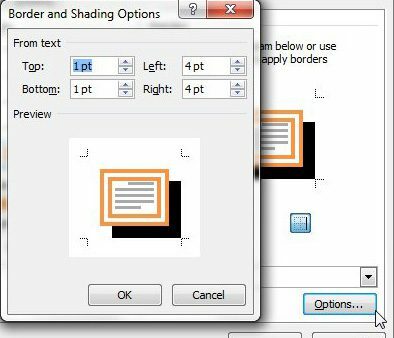 If you are looking for ways to add page borders for Word documents, then you are likely trying to visually improve your Microsoft Word documents so that they stand out among a sea of documents that consist only of black text on a white background. 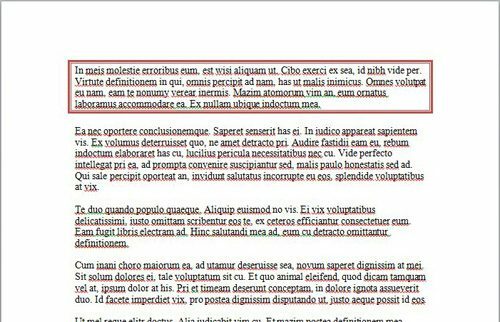 Microsoft understood that many of its’ Word users would need to make their documents look better, so they provided a way for you to add borders for Word documents. 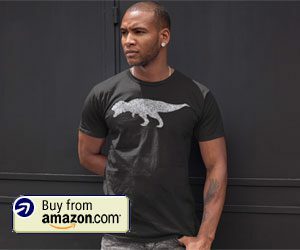 This addition to Microsoft’s word processing software did not stop there, as the amount of page borders in Microsoft Word is truly astounding when you consider the designs that are possible through combinations of styles, colors, widths and art. 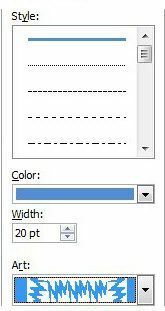 In Microsoft Word 2010, the menu that you use to add borders for Word documents is located on the Page Layout tab at the top of the window. 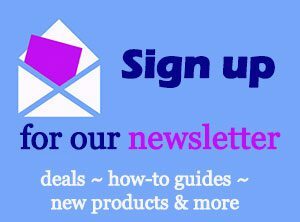 Once you have clicked the Page Layout tab, you will notice that the Ribbon, or the horizontal navigation menu at the top of the window, has changed to include a new set of options. 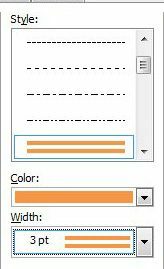 Among these options is a Page Background section, which includes the menu that you will use to add borders for Word documents. 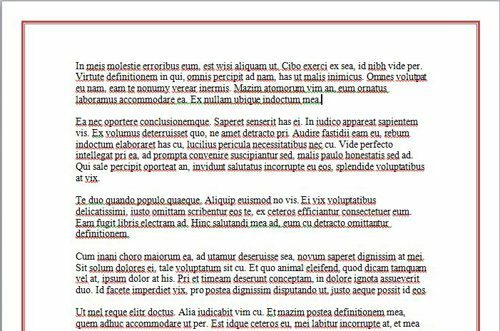 The process for adding paragraph borders for Word documents or document borders for Word documents is very similar, so once you can do one of them, you can do both of them. 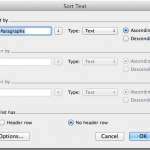 If you want to add paragraph borders to your Word document, then you need to select a border setting from the Settings column at the left side of the menu. You then need to select a Style, Color and Width option from the center column. Finally, click the Options button at the bottom of the right column, then specify the distances of the borders from your text. When you have finished customizing your paragraph borders, click the OK button to close the Border and Shading Options window, then click the OK button to close the Borders and Shading window. 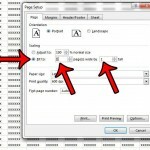 The entire process is very similar when you want to add a page border to your Word document instead of a paragraph border. Confirm that the Page Border tab is selected at the top of the window, then select a border setting from the Settings column at the left side of the window. The click the Options button at the bottom of the right column to specify the margins for your border. Once you have specified your margins, click the OK button at the bottom of each open window to apply your changes. 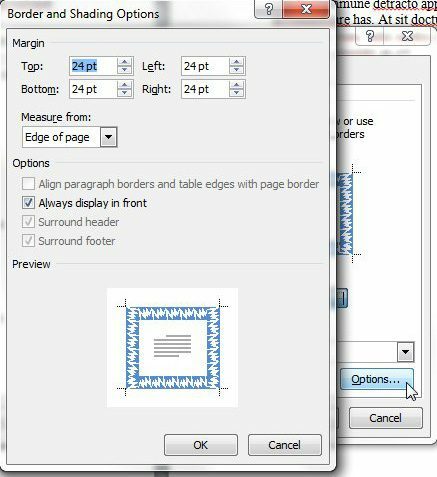 For additional information about configuring your borders in Microsoft Word, check out this article on Microsoft Word 2010 page borders. 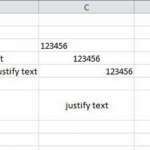 Can You Alphabetize in Word 2011?